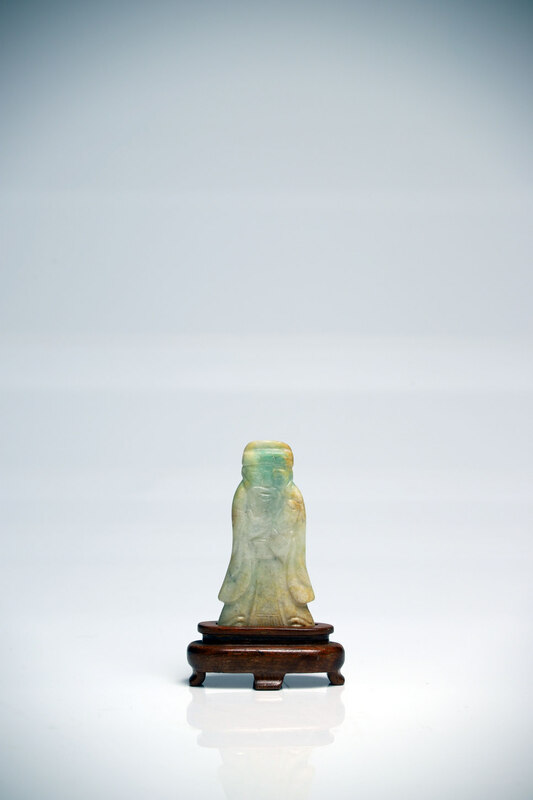 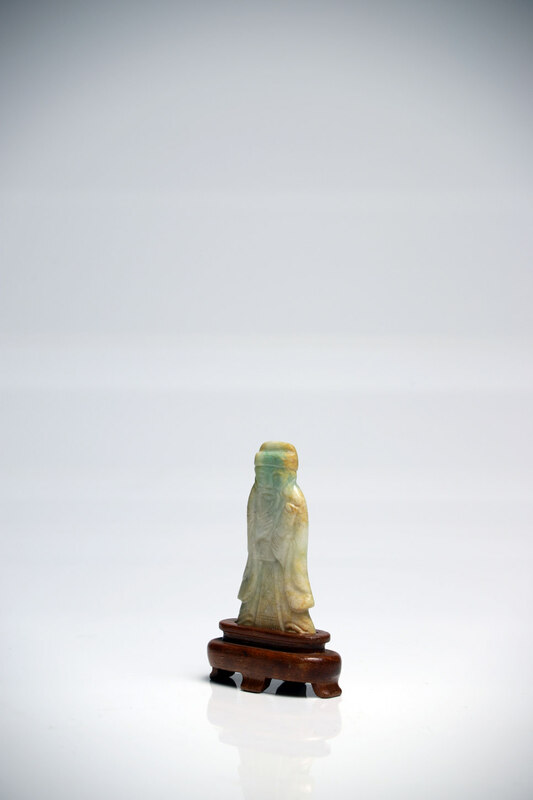 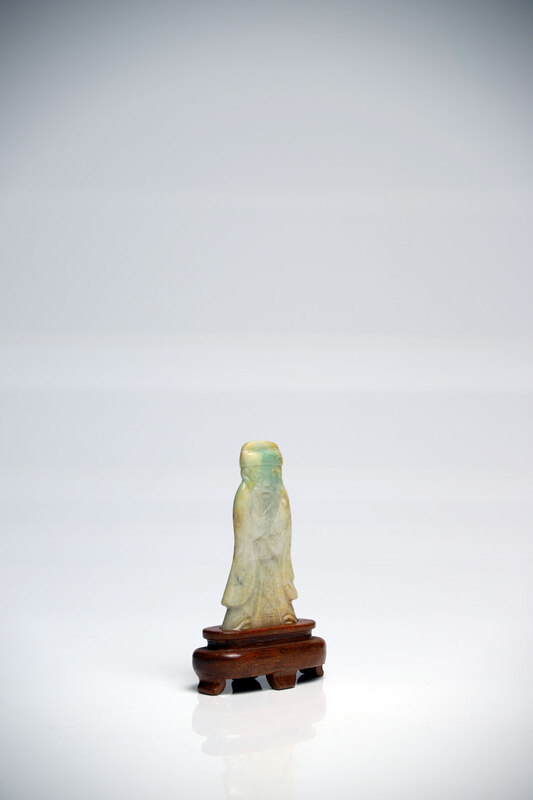 A flat figurine of a Chinese scholar placed in a wooden four-footed platform. 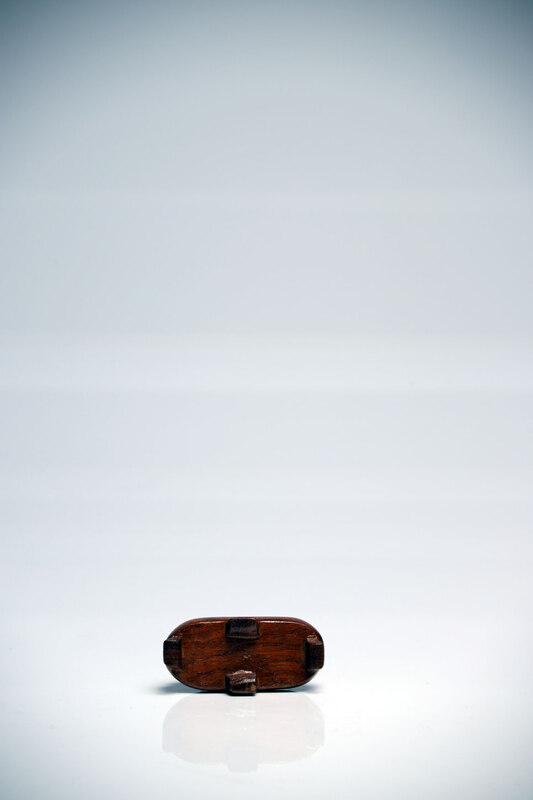 The elderly man is holding a scroll in his left hand while pulling at the end of his beard with his right hand. 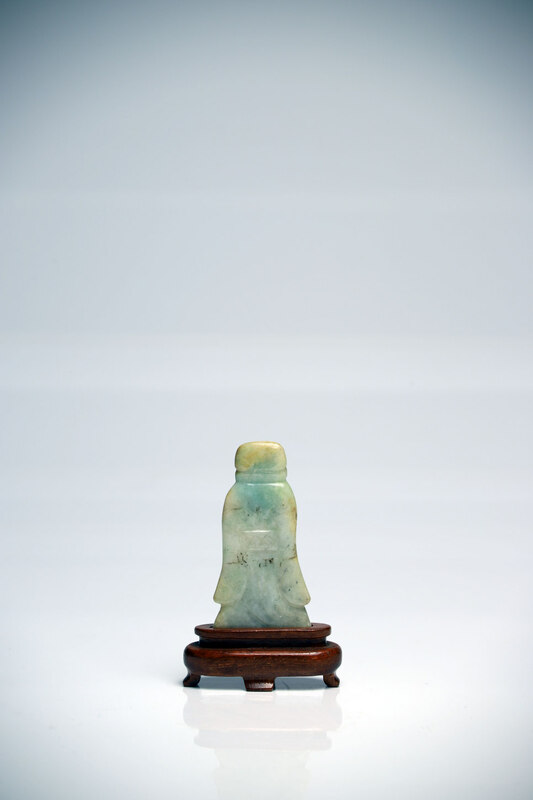 A typical portrayal of an educated scholar.